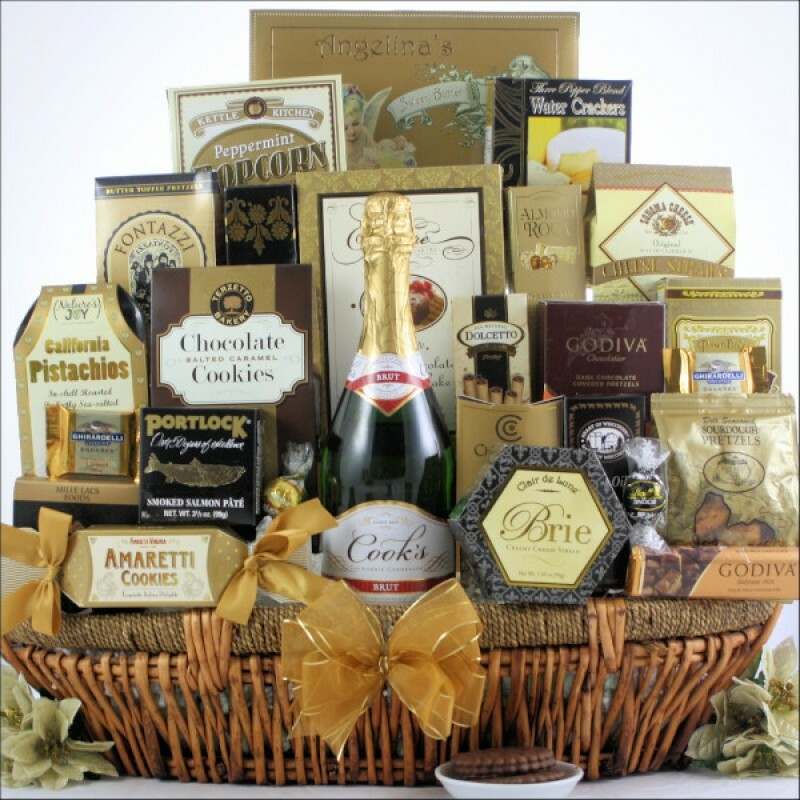 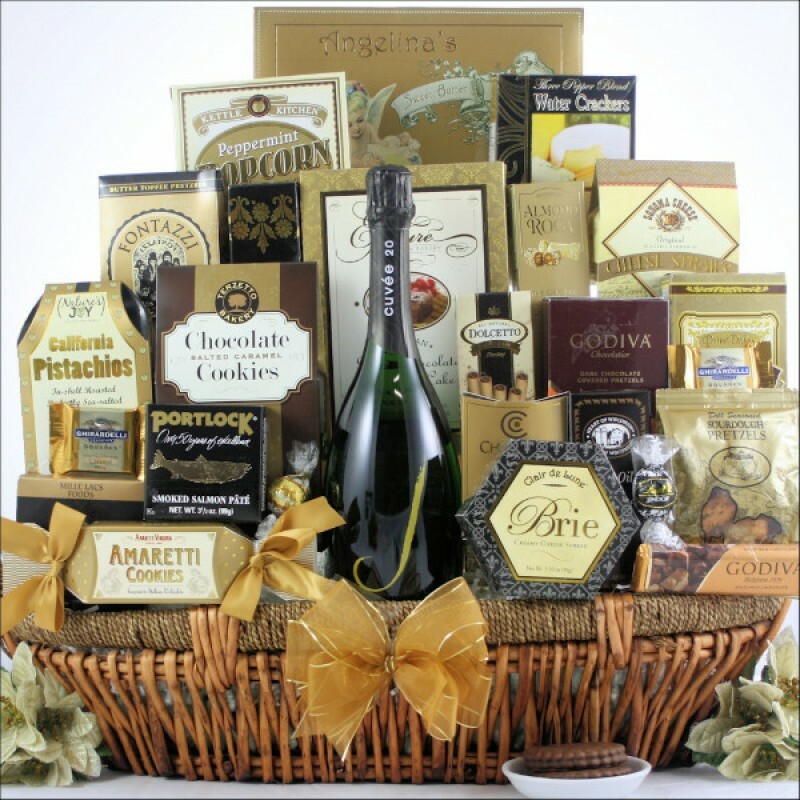 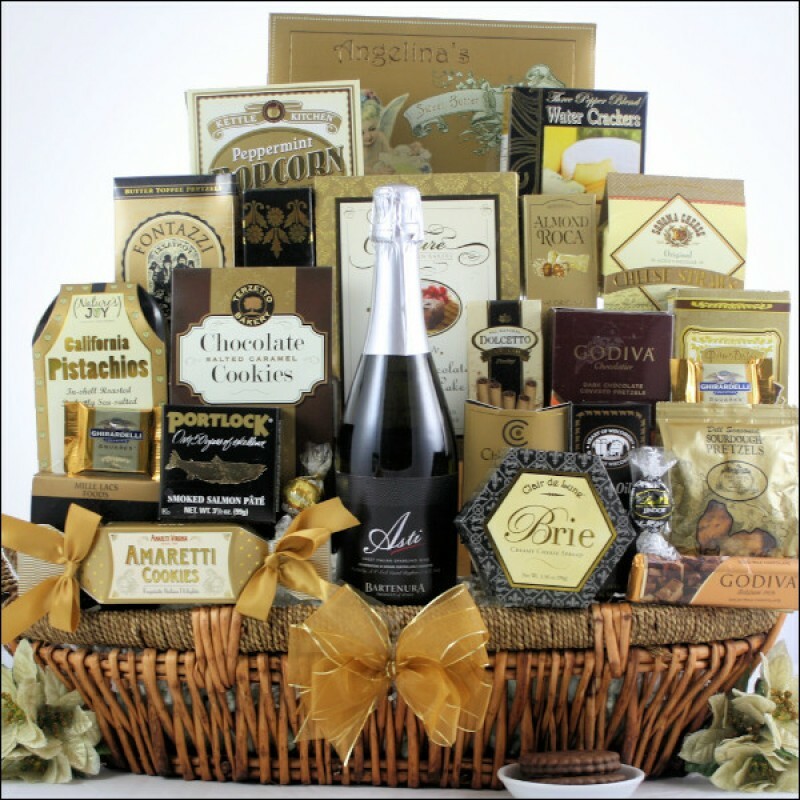 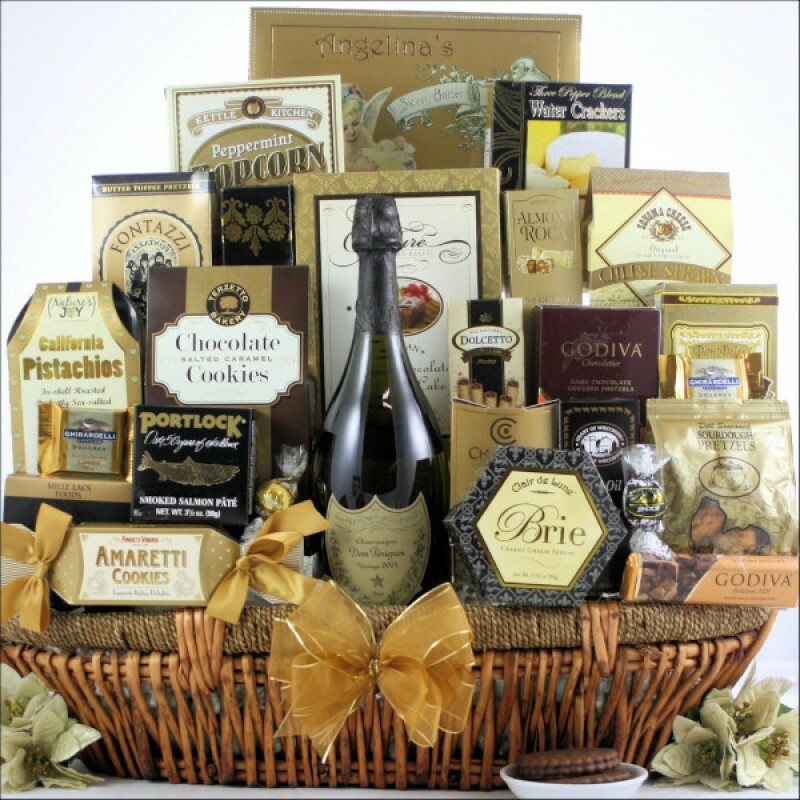 They are going to love to receive our Grand Gourmet gift basket filled with a wonderful assortment of Cheeses, Crackers, Snacks, Chocolates and more. 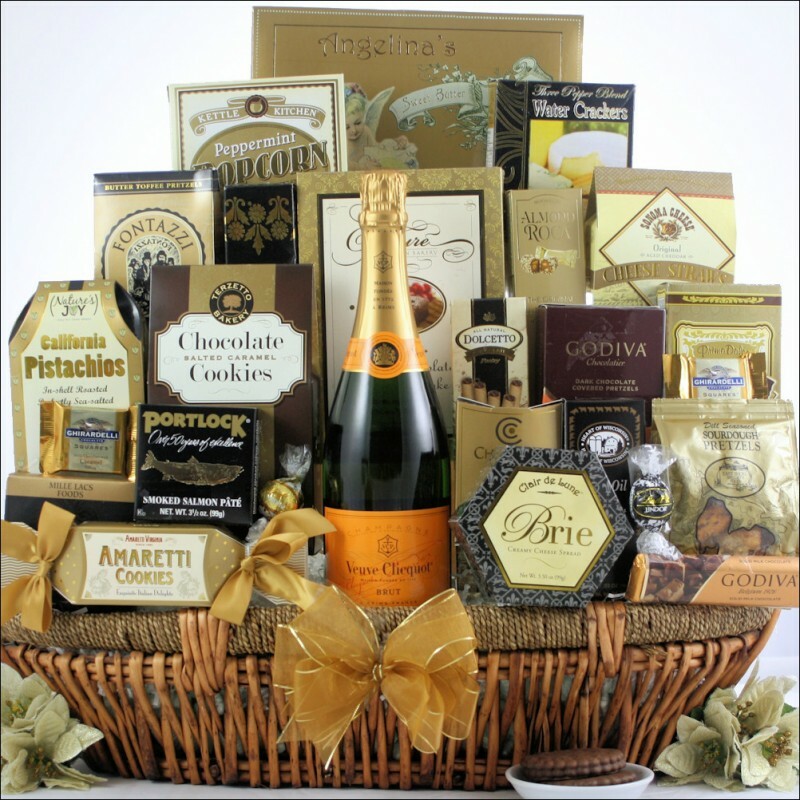 Featuring Zesty Cheddar Flavored Cheese Spread, Three Pepper Blend Water Crackers, Portlock Smoked Salmon, California Smoked Almonds, Godiva Milk Chocolate Chocoiste Bar, Lindt White Chocolate Truffles, Italian Amaretti Cookies and Beth's Chocolate Chip Cookies. 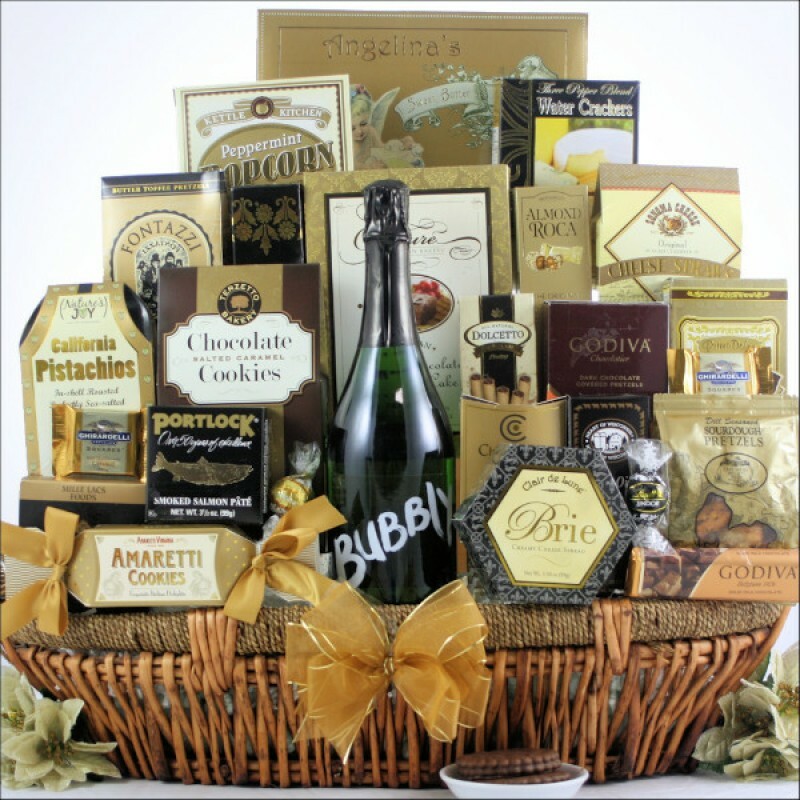 Turn this basket from Grand to Magnificent by adding an outstanding bottle of Bouvet Signature Brut French Sparkling Wine making it perfect for any occasion. Ghirardelli Milk Chocolate Caramel Premium Square - 2 of them! 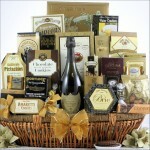 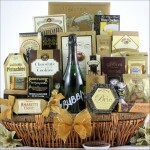 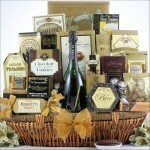 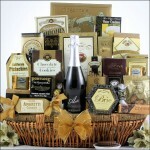 ...in an Oval Willow Gift Basket with Seagrass Rim.